Over on YouTube 'Tysonpower' has recently uploaded a very informative video and blog post showing how he is able to receive HRPT weather satellite images. Note that the video is in German, but English subtitles are provided. Most readers of this blog are probably familiar with the more commonly received APT images that are broadcast by the NOAA satellites at 137 MHz, or perhaps the LRPT images also broadcast at 137 MHz by the Russian Meteor M2 satellite. HRPT signals are a little different and more difficult to receive as they are broadcast in the L-band at about 1.7 GHz. Receiving them requires a dish antenna (or high gain Yagi antenna), L-band dish feed, LNA and a high bandwidth SDR such as an Airspy Mini. The result is a high resolution and uncompressed image with several more color channels compared to APT and LRPT images. In his video Tysonpower shows how he receives the signal with his 3D printed L-band feed, a 80cm offset dish antenna (or 1.2m dish antenna), two SPF5189Z based LNAs and an Airspy Mini. As L-band signals are fairly directional Tysonpower points the dish antenna manually at the satellite as it passes over. He notes that a mechanised rotator would work a lot better though. For software he uses the commercial software available directly from USA-Satcom.com. 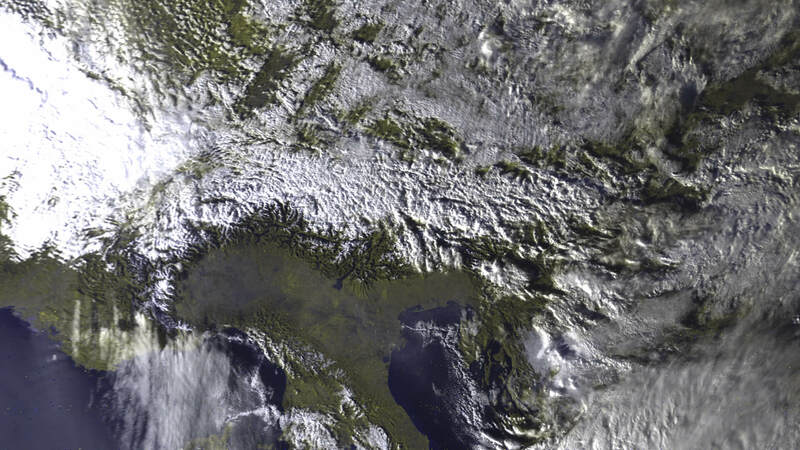 An Example HRPT Image Received by Tysonpower. 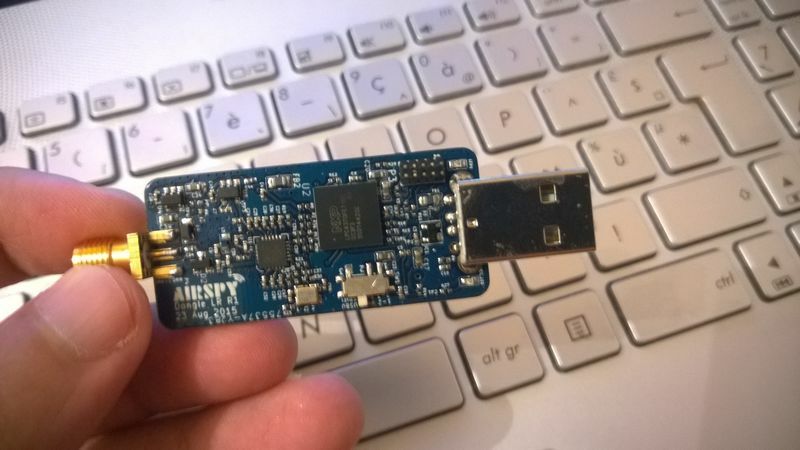 Over the last few months we’d constantly heard hints that the Airspy team was working on a miniaturized version of their popular Airspy SDR. Today the Airspy Mini has been released for preorder. The Airspy Mini has similar high performance specifications to the Airspy R2, but comes in a USB dongle sized enclosure and only costs $99 USD – half the price of the $199 USD Airspy R2. 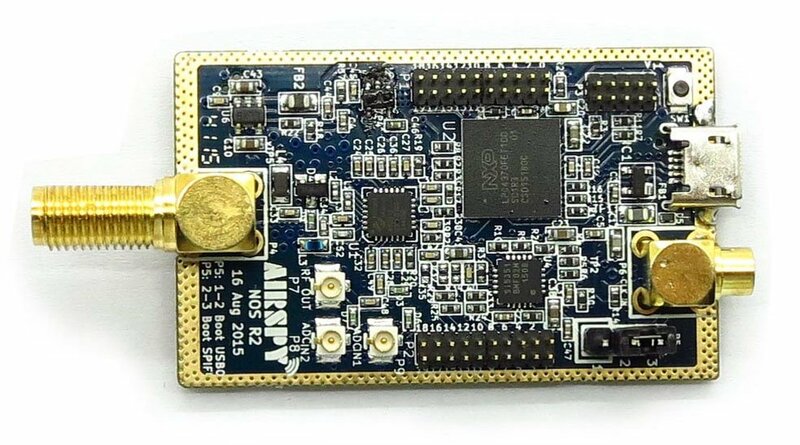 The only difference in specification appears to be that the Airspy Mini has 6 MHz of spurious free bandwidth, versus 9 MHz in the Airspy R2, and that it lacks the external clock input and some of the expansion headers which are mainly useful only for advanced experimenters. The other features including its 24 – 1800 MHz operation, 12-bit ADC and 0.5 PPM TCXO all remain the same. The Airspy team also write that the Mini still supports a 20 MSPS mode for ADS-B decoding with the ADSBSpy decoder, which should place its ADS-B decoding performance at an identical level to the Airspy R2, which is very good. 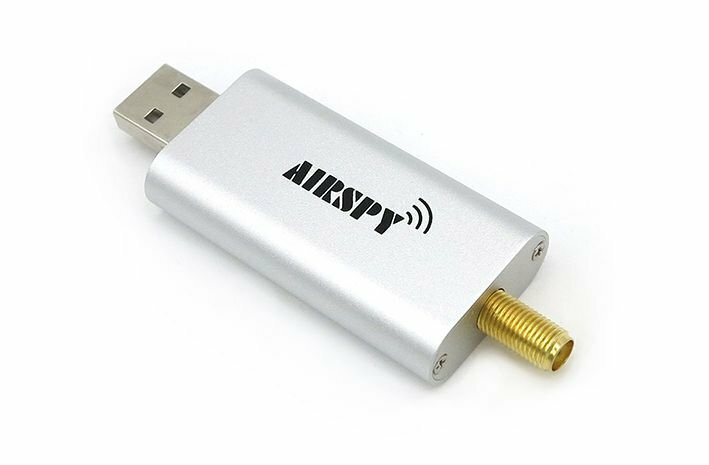 To receive the HF frequencies the Airspy team are also releasing an Airspy Mini + SpyVerter bundle which will cost $149 USD. 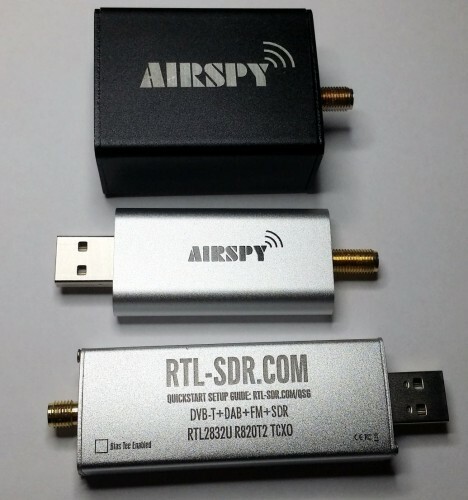 The SpyVerter is an upconverter designed to work with Airspy products, but has also been found to work well with the RTL-SDR. At these prices the Airspy Mini competes heavily with the $149 USD SDRplay RSP which is a similarly specced SDR. In a previous review on this blog that compared the SDRplay RSP and Airspy R2 we found that the Airspy generally performed better in the presence of strong signals. In the future we hope to review the Airspy Mini and check to see if its performance is similar to the Airspy R2. If its RX performance is at least the same as the R2, then it probably will be the best value SDR for those wanting to upgrade from an RTL-SDR. The inside of the Airspy Mini.